Kerala CM. 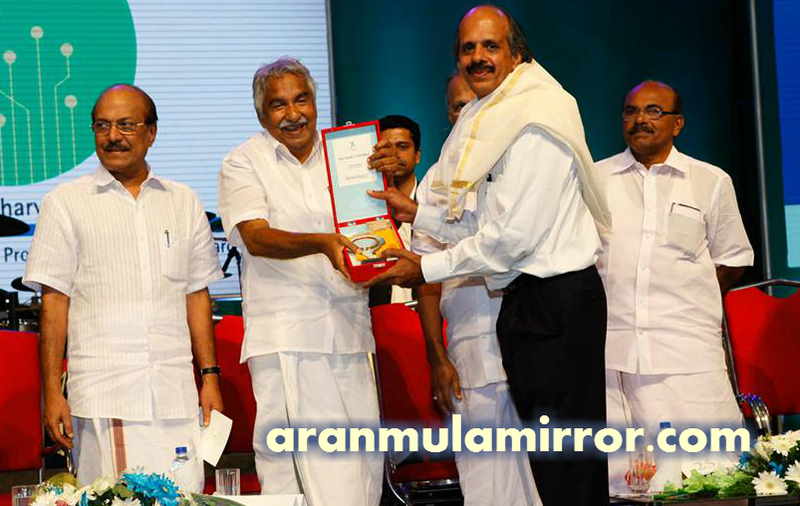 Shri.Oommen Chandi appreciating the technopark BDM by giving prestigious Aranmula Mirror as a gift for this contributions to the technopark – Asia’s largest IT park, during the 25th anniversary celebrations held in Trivandrum Technopark. IT minister Shri. Kunjalikutty nearby. 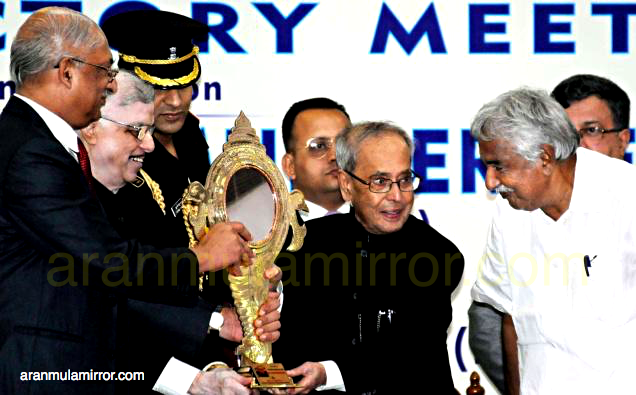 Indian president shri.pranab mukharjee receiving the prestigious aranmula kannadi. the mirror he is holding is the fixed stand mirror ( peeda kannadi).